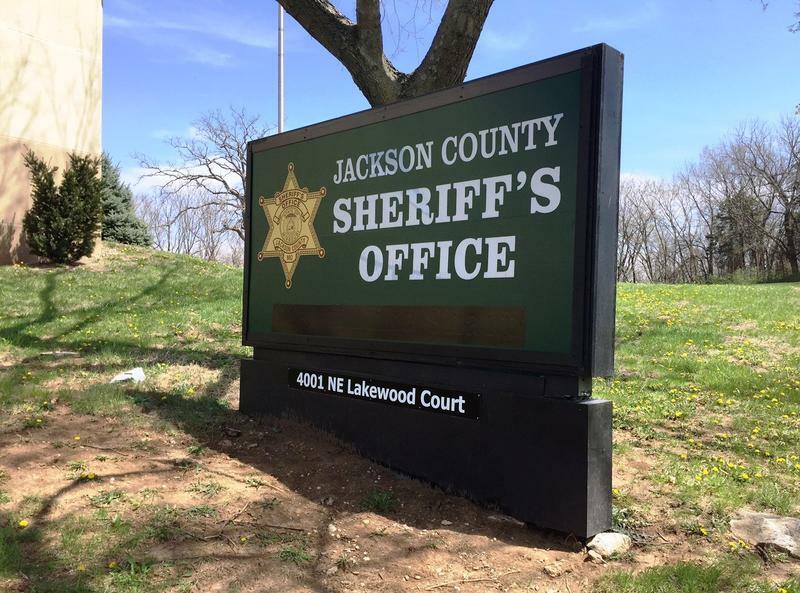 A lawsuit contends that only the Jackson Democratic Committee has the authority to nominate a candidate for Jackson County sheriff following Mike Sharp's resignation in April. The primary election for Jackson County sheriff, slated to take place Aug. 7, may not happen. A lawsuit filed three weeks ago by the Jackson County Democratic Committee seeks to cancel the primary election as unlawful. The committee’s argument: The clerk of the Jackson County Legislature, Mary Jo Spino, had no legal authority to reopen the filing period for candidates after the primary filing deadline of March 27. Spino did just that for five days beginning May 7. The move, says the committee, was outside the scope of her authority. The committee argues that after Sheriff Mike Sharp resigned in April, only the committee itself had the authority to determine the Democratic nominee. Sharp stepped down after admitting he had a sexual and financial relationship with an office employee. Sharp was elected in 2016 to serve a four-year term and, until his resignation, the county wasn’t scheduled to hold an election for sheriff until 2020. Missouri law does provide for the reopening of a candidate filing deadline if a vacancy is created by the death, disqualification or withdrawal of a candidate. But the committee argues that doesn’t apply here, where the sheriff resigned. “I think it’s pretty clear that they didn’t have the authority to do what they did,” says the committee’s lawyer, Clinton Adams Jr., referring to Spino’s extension of the filing deadline. On Wednesday, Jackson County Circuit Judge David M. Byrn declined to dismiss the case. He scheduled an Aug. 2 hearing on the matter, although he indicated he may rule before then. Geoff Gerling, executive director of the Jackson County Democratic Committee, says only the party has the authority to nominate a candidate for the November general election under the current circumstances. Gerling says any candidate, whether currently running or not, would be eligible for the nomination. He says each of the committee’s 94 members would get to vote on a potential candidate. Three individuals are seeking the Democratic nomination for sheriff: former Kansas City Police Chief Darryl Forte, who was appointed interim sheriff by Jackson County Executive Frank White after Sharp’s resignation; Mike Rogers, a captain in the sheriff’s office; and retired Kansas City police Sgt. Ramona Arroyo. Rogers and Arroyo both interviewed for the interim job that went to Forte. Two individuals are seeking the Republican nomination: David Bernal, a former FBI agent; and Randy Poletis, a former chief of the Lake Lotawana Police Department. It’s not clear what would become of the Republican primary if the court were to find in favor of the Jackson County Democratic Committee, since only the Democratic committee is seeking relief. On the other hand, the same argument as to why the Democratic primary should be halted presumably would apply to the Republican primary as well. David Raymond, an attorney for the Kansas City Board of Election Commissioners, says he believes a ruling in favor of the committee would apply to both primaries. If the court were to halt either or both primaries, that raises another question: What would become of the ballots, which have already been printed? The Democratic committee is not asking that the ballots be thrown out. Rather, it says, election authorities simply shouldn’t tabulate the votes cast for Jackson County sheriff. Nicolas Telep, an intern with KCUR, contributed to this story. Jackson County Sheriff Darryl Forte says there may have been a crime committed when two former civilian employees didn’t come to work. In a story first reported Monday by the Kansas City Star, Forte said he recently discovered that two part-time workers hired by former sheriff Mike Sharp were being paid for little or no work. A sheriff's office source tells KCUR the pair reported directly to Sharp, so no one knew what they were doing. Jackson County Executive Frank White on Thursday announced the appointment of former Kansas City Police Chief Darryl Forté to serve as the new interim Jackson County sheriff. "Darryl is no stranger to many of us," White said on the steps of the Jackson County Courthouse. "As the first African American police chief of Kansas City, Darryl was instrumental in bridging the gap between officers and the community."